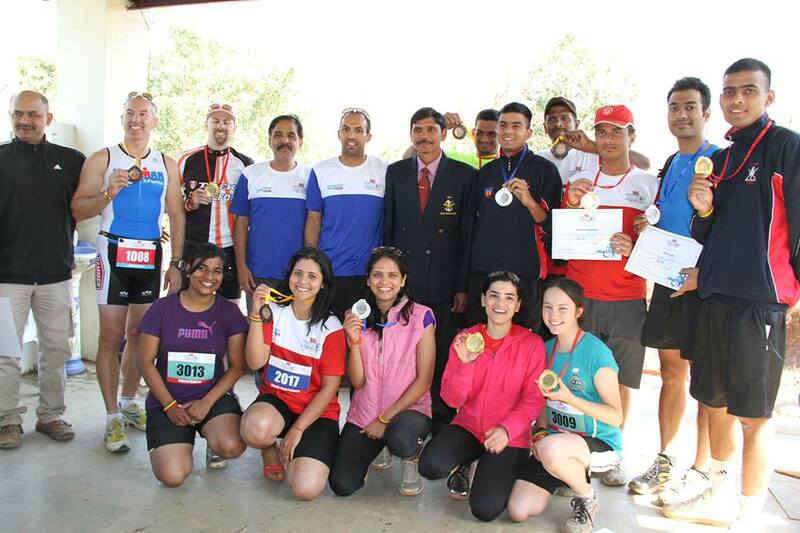 We had a shortened version of Sprint Triathlon consisting 300 mtrs Swim – 10 Kms Cycling – and 5 kms Running on 14 Jul 2013. The objective was to give a feel of Triathlon to everyone and get realization of own potential so as to go ahead with some benchmark for ourselves. This was the first time such an event was organized in Pune. The event went off so smoothly that when it was over; nobody realized we could ever host it this way. There was lot of curiosity, ambiguity and much more when we took up this as a project. Firstly we would like to thank Nikhil Shah and Pune Running for coming ahead, supporting us although the preparations till execution. Kaustubh Kesarkar, the Race Director (himself a Comrades Finisher twice) and Vishal kamath, Asst Director for the Race need a special mention for going through minutest of the details in organizing the Race. We had 112 registrations and finally 90 participated in the event. The best time clocked was 59 mins by Ms. Chaitrali Pavanaskar and average time taken was 1 hr 15 mins. But timing was secondary for most as it was their first such attempt and dream of doing a Triathlon came true. After the event many wanted to go in for it again with increased distances. We then felt to go in for 500 mtrs swim – 15 kms Cycling – 5 kms Running in Oct this year. 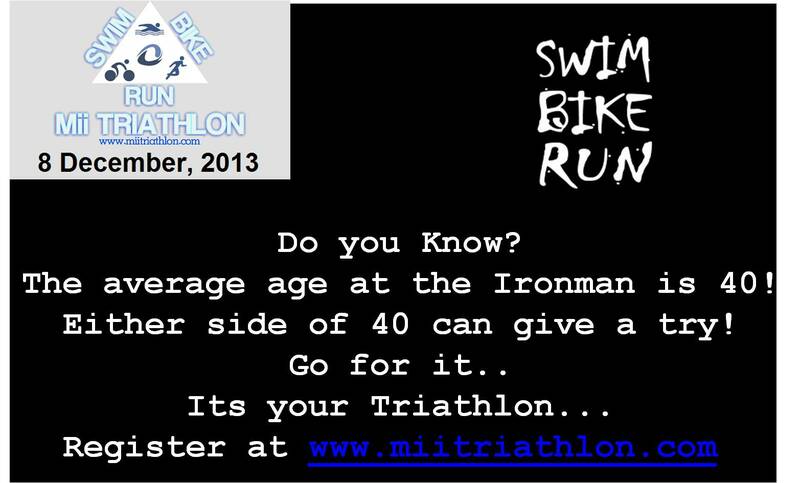 We are sure in Oct 2013 we will have more participants going for it. The un-sung contributors have been Students from College of Event and Media, Pune; who volunteered to provide support the Race without any expectations. Big thanks to them also. The event also saw, Manoj Pingale, an Olympian in Boxing (Seoul 1988) felicitating Nishit Biniwale (Ironman Finisher at Auatria this year), and 3 Comrades Kaustubh Kesarkar, Vivek Prasad and Dnyanesh Chitnis. Thanks to all participants and see you in Oct in great strength! Happy Swimming – Cycling – Running!! 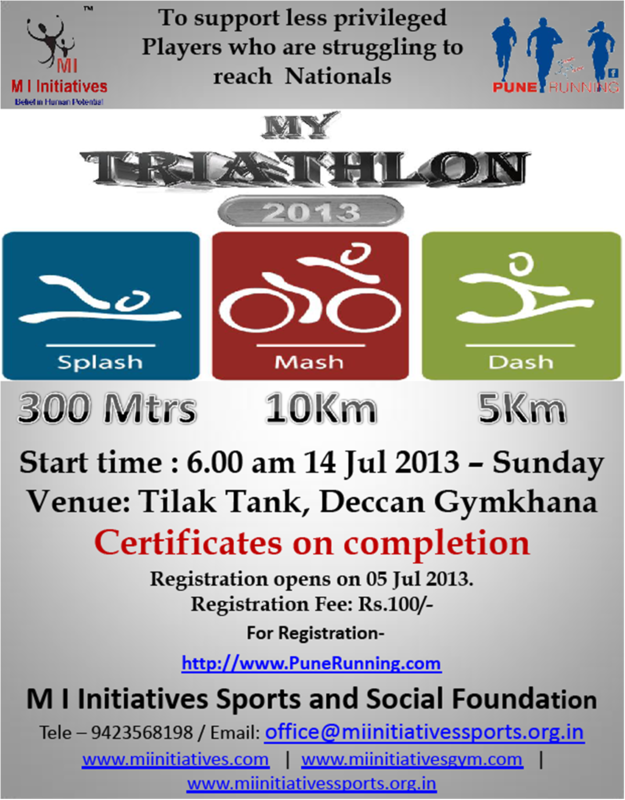 Introducing “My Triathlon” for Everyone of Us : 14 Jul 2013 : We all Have it in Us! Give your best and set a benchmark for yourself. I was wondering about why not have it as regular event in our system; is it only for the people who want to go for competitions or can it be a part of our daily workout regime. 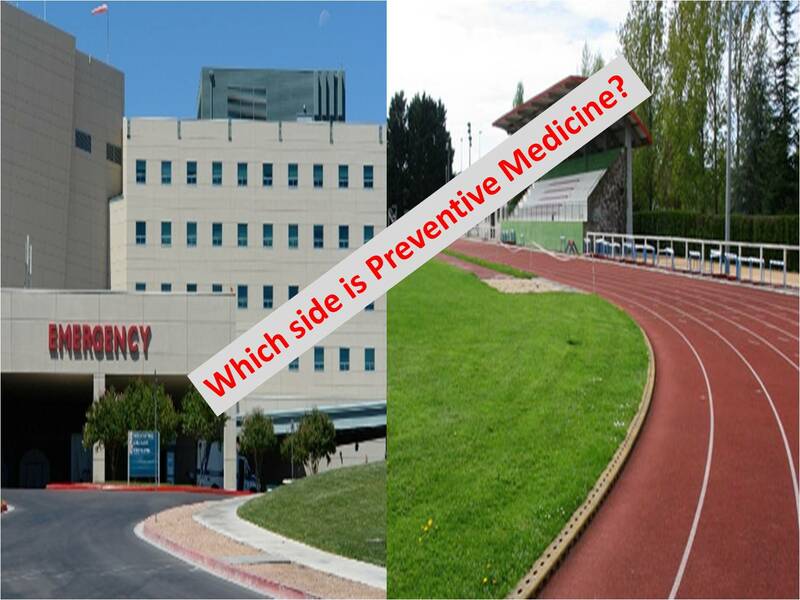 It provides you with a variety in Fitness Training over a week. It can be one of the best cross-Training methods to develop endurance, strength and give yourself a complete body exercise. Body weight no doubt remains under check!! If you are a Triathlete, burgers and pizzas and whatever will get consumed no matter in whatever quantity you eat!! Make you meet people from different walks of life and different sports and perception. If you are attempting it for the first time; experience it once; we need to Venture in to Unknown, to Understand Self better!! There are many such benefits but as i look at it; I got to do it myself (a Bottom Line). Many who may be good runners but over the years have kept even learning the swimming (a Basic essential) on the back burner. get to swimming pool and learn it and experience the thrill of swimming. n Wish everyone a Happy and Healthy Life!